This patch fixes the export of images placed from multi-image files. This patch responds to an upcoming Google server change and fixes a problem with drag’n’drop from Google Drive FS. This release adds support for just-released InDesign CC 2019 and fixes some minor issues. This patch improves stability when working with bookmarks and endnotes, fixes problems with Place with WordsFlow…, and addresses an issue with commas in exported style names. This release greatly improves Word exports, adds a way to directly create WordsFlow links, and makes placing with WordsFlow scriptable. This patch release includes a fix for the Import Options dialog in InDesign CC 2018. This release prevents unnecessary Missing Plug-ins messages and improves product stability. This release prevents unnecessary Missing Plug-ins messages, overhauls progress bars, reduces document load times, and improves stability when updating stories. This quick release improves compatibility with Excel files and adds basic support for InDesign index markers. This release addresses issues with column breaks, Team Drives, exporting, and updating. This release fixes problems with updating and improves stability. This release works much more efficiently with large tables and fixes a couple minor problems. This release adds full support for CC 2018’s endnotes and includes a number of other fairly significant fixes and improvements. This release fixes a connection issue with Google Team Drive accounts. This release fixes a compatibility problem with links created without WordsFlow installed. This release fixes a problem with connections to some non-Team Drive accounts. This release adds support for Google Team Drives and Google Drive File Stream. We’re pleased to announce that we’ve released all but one of our plug-ins for Adobe’s just-released InDesign CC 2018 update. Notably absent is DocsFlow, in which we found a last minute show-stopper. We hope to have it fixed and released in the next few days, so keep an eye on our release channel for further DocsFlow news. Meanwhile, if you haven’t updated to CC 2018, and depend on DocsFlow for production, please hold off until we have it released. If you’d like to start playing with CC 2018 without DocsFlow, you can update, but when you do, it’s critically important to display the Advanced Options in Adobe Creative Cloud’s update dialog and un-check Remove old versions. That will leave your previous version (CC 2017, most likely) untouched, so you can continue using it. 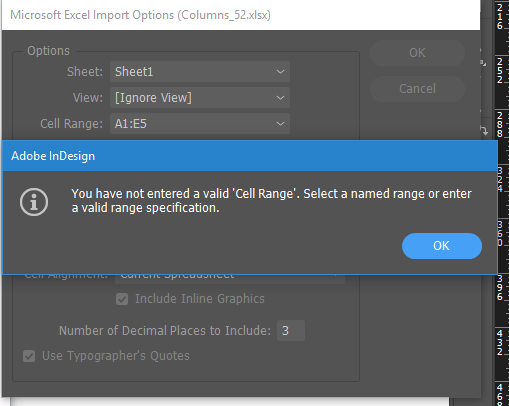 If you’ve already updated and had your older version auto-removed, you can click on the InDesign CC entry’s down arrow, select Other versions, and then click on the Install next to the previous version. Finally, download and install the Em plug-ins you were using before (from the relevant product page’s Downloads sidebar), and you should be fully back in business. If you purchased a new or upgrade license since January 1, 2017, we’ll be emailing you your free upgrade license in the next few days. Otherwise, you can purchase an upgrade from our online store, or contact us for other options. This release adds support for just-released InDesign CC 2018 and includes a couple minor fixes. On macOS, our InCatalog and Xcatalog data linking products use a technology called Apple Events to make a direct, non-odbc connection with FileMaker Pro. Unfortunately, FileMaker Pro 16’s new Extended Privilege security setting disables support for this type of connection by default. So while InCatalog 2.19 (or later) and Xcatalog 3.10 (or later) support FileMaker Pro 16, they may fail to establish a connection with a fresh installation of it. To change this Extended Privilege setting and restore access to your FileMaker databases, open the database and manage its security settings (File > Manage > Security…). If Manage Security is showing the Basic Setup dialog, select the user and then click the Edit… button next to the user’s selected Privilege Set to bring up the Edit Privilege Set dialog. 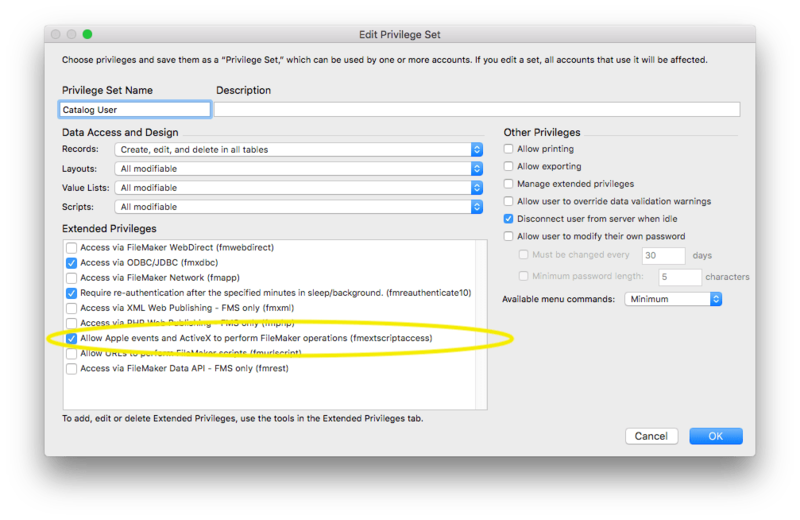 If Manage Security is showing the Detailed Setup dialog, select the Privilege Sets tab, select a Privilege Set, and then click the Edit… button. Once in the Edit Privilege Set dialog, check the Allow Apple events and ActiveX to perform FileMaker operations option to allow a direct connection from InCatalog and Xcatalog. The latest version of InCatalog and Xcatalog can be downloaded here. This release improves exports and updates. This release improves browser-based drag and drop and fixes updates of spanned table cells. This release adds support for Relink, enhances the Place dialog, and improves the Export dialog. 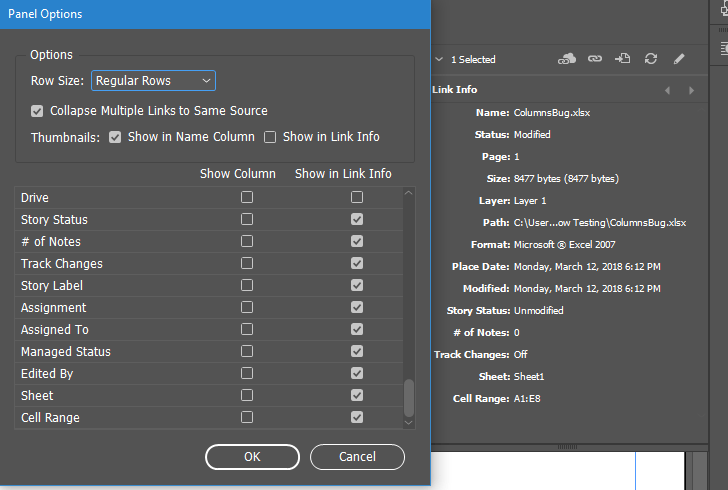 This release improves stability, enables InDesign’s Missing Plug-ins alert, and addresses connectivity issues. This quick release works around a crash bug in just-released InDesign CC 2017.1. This release fixes style mapping, supports list continuations, and improves stability. This release improves OpenDocument file handling and overall stability. This release adds control over PDF imports and fixes a macOS-only import bug. This release improves stability and fixes issues with exporting images to Google. This patch improves stability and fixes problems with exported Word files. This patch release addresses styling issues with unformatted text and fixes rtf exports. This release adds support for just-released InDesign CC 2017, improves drag’n’drop, and addresses a few issues with exporting. This release adds support for just-released InDesign CC 2017, improves support for the OpenDocument and Word file formats, and addresses issues with fonts. This release adds support for change tracking, moves to -> as the style group separator in exported Word files, and fixes some issues with updating, exporting, and unlinking. This release fixes Export and Unlink and includes a number of stability improvements.